Inspiring Jewish pride and identity in our children - the future of Judaism. Imagine a Hebrew School where kids don't want to miss a day! They come in with a smile and leave humming the tune to a Hebrew song. Imagine a child who feels the warmth and spirit of Judaism... and then imagine the pride of his parents! 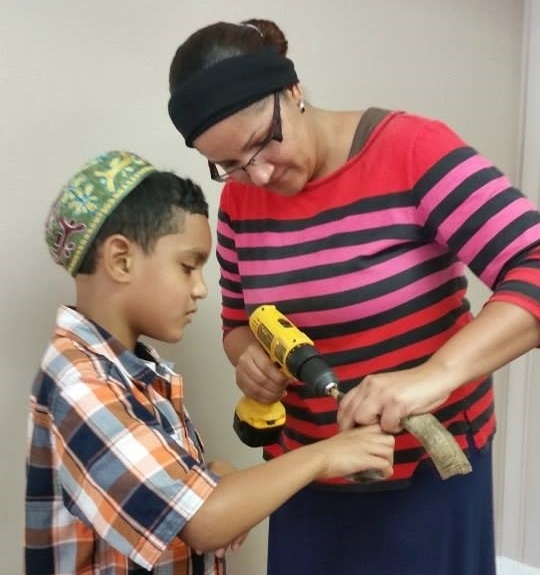 At Chabad Hebrew School, families of all backgrounds feel comfortable and welcome. We are proud of our achievements in the field of Jewish supplementary education. We think our program is the best Jewish experience your child can receive. But don't take our word for it, come in and see our school in action! Our faculty is comprised of highly motivated teachers with a proven track record of caring, devotion and academic expertise. Every child enjoys individual attention from instructors who are carefully selected for their abilities to connect with, appropriately asses and cater to the needs of each student. Care is taken to make sure every child is comfortable and able to learn at a relaxed pace. At Chabad Hebrew School, we instill Jewish pride and create spiritual connections that last a lifetime. Our friendly and exclusive policy means every Jewish child is welcome, regardless of affiliation, religious observance or prior knowledge. All classes are held at the Jewish Learning Center in Winter Haven (transportation from Lakeland is available), from 10:00 am to 12:00 pm, every Sunday for the duration of the scholastic year. For ages 4-5, First Taste is designed to grab the very young child’s attention through song, art, and play. By exposure to the Hebrew alphabet, stories from the Torah, prayer through song, and holiday studies, a child gains a sense of pride and love for Judaism. 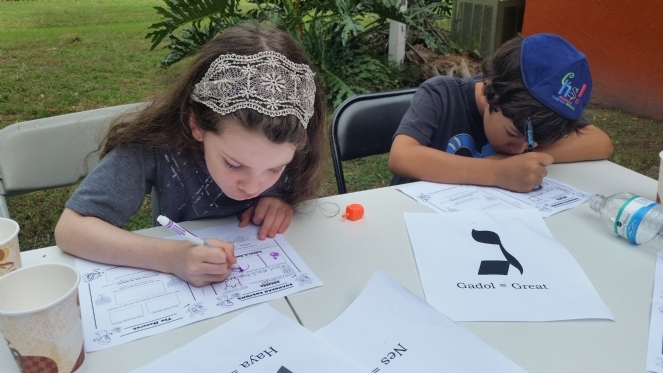 For ages 6-10, this program offers a more advanced Hebrew and Jewish studies curriculum. Children learn to read and write Hebrew and gain an appreciation for the whys and hows of contemporary Jewish life. Students learn about the holidays both academically and through hands on crafts. Our Hebrew reading curriculum is based on the internationally acclaimed Aleph Champ reading program, a motivational system that's been proven to be the most effective method of teaching Hebrew reading and writing to children. For ages 11-14, in this course students will not learn about theoretical, elusive concepts. They will learn about themselves. The Jewish Discovery course explores the founding stories of the Jewish people to illuminate the stories of our own lives. The course addresses basic questions of Jewish identity and Jewish life, such as: Who am I? What does it mean that I am Jewish? Why do I sometimes struggle with doing the right thing? Chabad Hebrew School is proud to offer private tutoring for all Jewish children, regardless of enrollment in the school. The transition from child to teenager is one of the greatest milestones in life. Prepare your child for the most important day of young adulthood. Give your child the tools he or she needs to properly navigate life as a responsible Jewish adult. Though we encourage adults and children alike to attend prayer services, synagogue membership is not required. Affiliated and non-affiliated are welcome. Tuition includes all supplies and book fees. Payment can be made in installments. Limited scholarships are available, and no Jewish child will ever be turned away for lack of funds.